for parallelism by tiling until the requisite degree of accuracy is obtained. The parallelism cannot be made altogether perfect, and, as a matter of fact, in some cases the error may amount to as much as one-tenth of a micron or more. Fig. 71 represents a perspective view of the same thing. 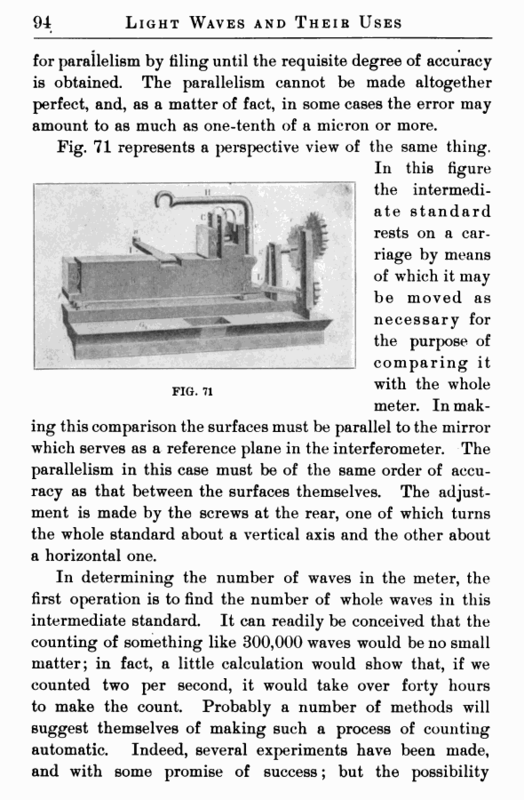 In this figure the intermediate standard rests on a carriage by means of which it may be moved as necessary for the purpose of comparing it with the whole meter. In making this comparison the surfaces must be parallel to the mirror which serves as a reference plane in the interferometer. The parallelism in this case must be of the same order of accuracy as that between the surfaces themselves. The adjustment is made by the screws at the rear, one of which turns the whole standard about a vertical axis and the other about a horizontal one. 000 waves; half of this distance would contain 150,000. If we go on dividing in this way, until we get to the last one of nine such steps, we reach an intermediate standard whose length is something of the order of one-half millimeter. 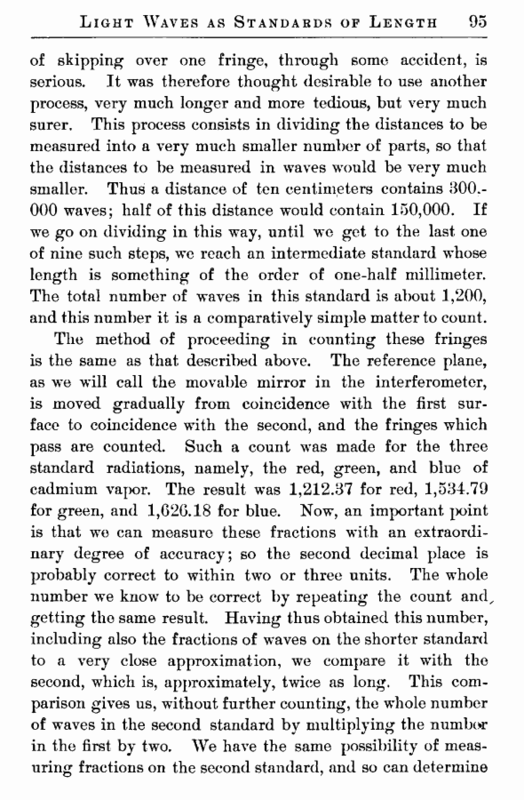 The total number of waves in this standard is about 1,200, and this number it is a comparatively simple matter to count.